Principle colour forecaster and influencer in interior design, fashion and beauty across the world, Pantone named its Colour of 2018 as Ultra Violet. 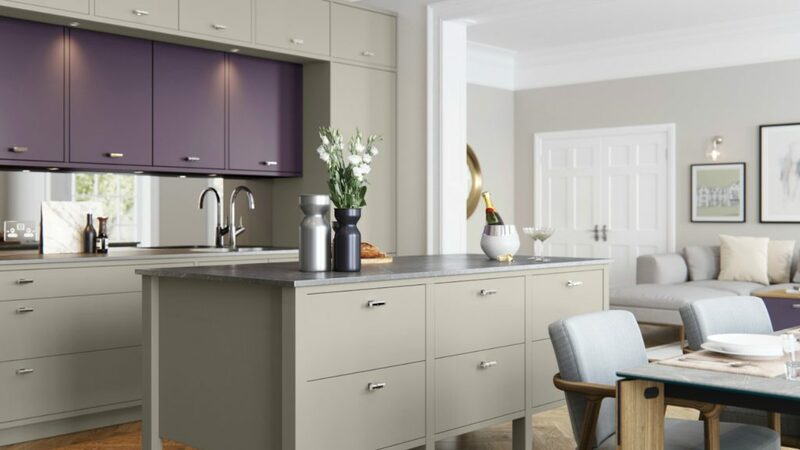 We take a look at five ways it, and other purple hues, have influenced kitchen and bathroom schemes – from appliance finishes through to colour blocking in furniture. Italian appliance manufacturer Steel recently collaborated with Le Creuset to offer a select range of its cookware colours on cooking and cooling models. 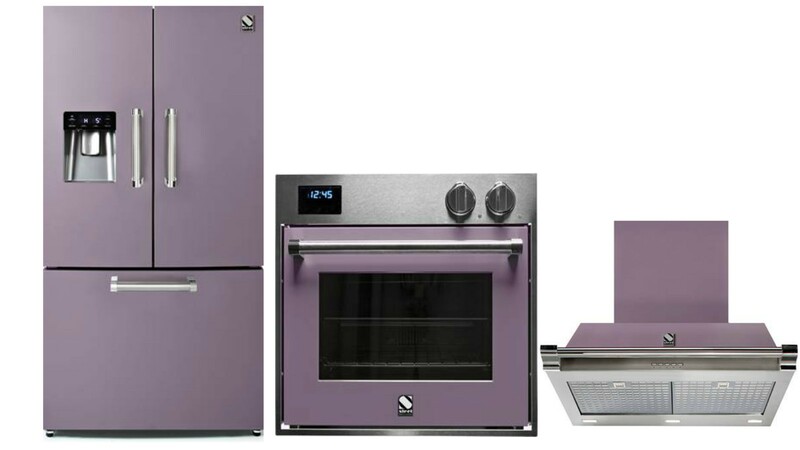 Purple was among the shades and is available on its Ascot, Genesi and Oxford ranges across fridge freezers, range cookers, hoods and built-in ovens. Steel appliances are available exclusively through Bradshaw Luxury. 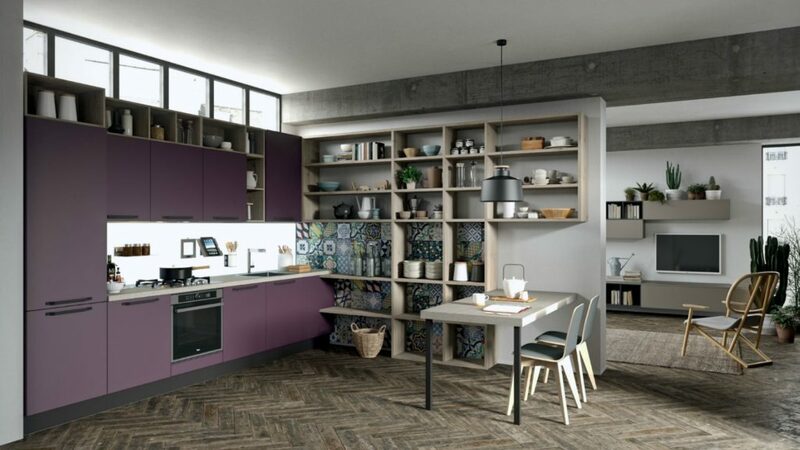 The Faro kitchen by Aran Cucine was introduced in matt aubergine, as a nod to purple being a protagonist colour for 2018. It boasts a simple linear style, designed to rise above short-lived trends. The linear doors measure 22mm thick and are available with a handle or concave recess opening. Meeting the trend for rich pigments and the Pantone Colour of the Year Ultra Violet, Alusplash has introduced an Aubergine finish to its aluminium splashbacks. 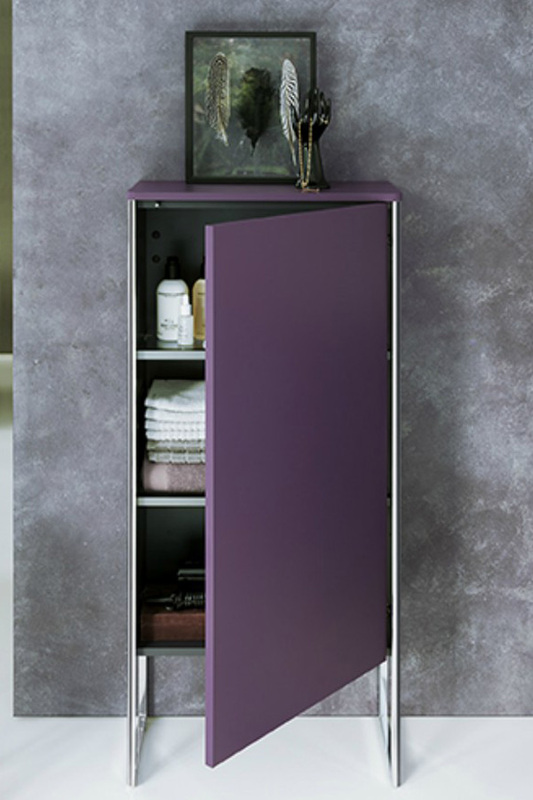 Offered as an alternative to glass, acrylic and tiles, the Aubergine décor has been designed to add drama and style. Alike all of the aluminium splashbacks, it is reportedly water, steam and fire resistant. Designed by Kurt Merki Jr the XSquare range of bathroom furniture for Duravit shows even the bathroom follows the purple trend with a Satin Matt Aubergine finish. The vanities are available in five widths and in floorstanding or wall-mounted models. Featuring a chrome profile, there is a choice of 28 frontal finishes for the bathroom furniture collection. To combine with the perennially popular grey finish, Masterclass Kitchens has created a palette of vibrant shades to mix and match for an individual look. Available on selected ranges, including Hampton (shown), Marlborough and Roma, Farringdon Grey is combined here with Mulberry. Masterclass furniture is available with handles or as a handleless option. 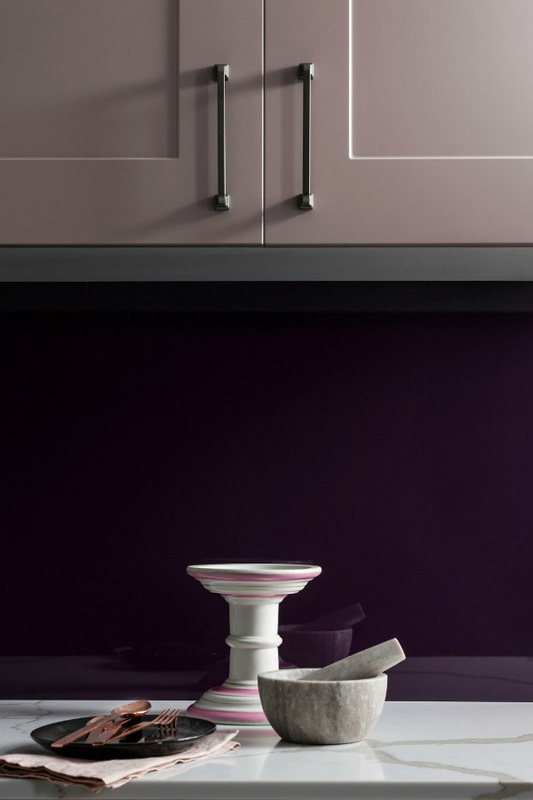 Purple is only one design influence for kitchen and bathroom aesthetics, take a look at the trend for hypernature which is also influencing materials choice.